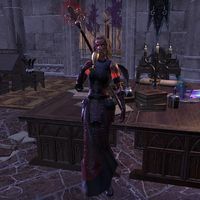 Spiderkith Brood Nurses are Spiderkith mages in service to Mephala. 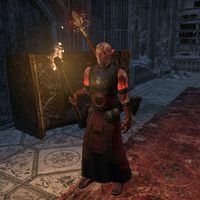 They can be encountered in the College of Sapiarchs, though one can be found guarding Mephala's Barrier in the Psijic Relic Vaults. They seem to be an updated version of Spiderkith Broodnurses, and can summon Skein Spiders. This page was last modified on 2 January 2019, at 22:31.